For your metal parts production needs, Initial uses two metal fusion or ALM (Additive Layer Manufacturing) technologies: laser (DMLS®) and electron beam (EBM). Metal fusion, also commonly known as metal 3D printing, presents definite advantages to conquer new markets. Our machinery offers a production capacity that is among the highest in Europe and serves made-to-order or mass production of complex parts and cavity dies. 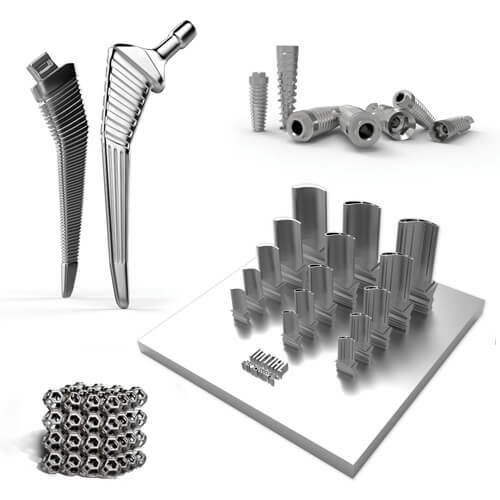 Our unique technological expertise in metal 3D printing is based on 12 years of experience and will meet your objectives: reduce time-to-market, add features or streamline the structure of a part. For 12 years, our expertise in this area has been decisive in the aeronautics, medical and automotive sectors. Metal 3D printing, or ALM, is used to produce complex and one-piece metal parts with geometries that are impossible to machine. This is an ideal 3D printing technology for your complex metal parts: lighter parts and high-performance materials. A competitive alternative to classic manufacturing processes. An extensive workshop dedicated to post-process operations.